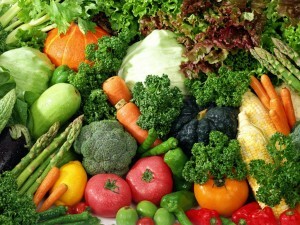 Is a vegetarian diet critical to our spiritual practice? No, there are many past and present enlightened masters who were/are not vegetarians. It is not critical; but being a vegetarian makes it a lot easier. The ancient Yogis taught that we are more than our physical body. We also have our energy, emotional, mental and causal bodies. When animals are killed for food, they die with a lot of fear and anger. When we eat meat, we are also eating the emotional body of the animals. The emotional body of the animals we eat add to the anger, worry and stress in our daily life. When we attempt to meditate, these negative emotions arise and become additional distractions which we need to overcome. Master Tony Chew (see appendix) explained the cause and effect of eating meat. He explained that we can eat meat without facing the karmic consequences of diseases and illness because the positions have been switched around in our numerous past lives. We have eaten other beings and vice versa. However, when the karmic store is exhausted, eating meat can lead to terminal illnesses and diseases. We do not know when we will exhaust our karmic store; so it may be wise to switch to a vegetarian diet early. This explanation cannot be proven scientifically but it is a reasonable explanation for why some people suffer from terminal illnesses and some live to a healthy old age. The anger and fear from the animals that are killed for food are not confined to their body. These emotions are projected out into the universe and the build-up of negative energies is transformed into natural disasters and new terminal diseases which there are no known cures. By switching to a vegetarian diet, we can reduce the demand for meat. We may argue with ourselves that one person cannot make a real difference. However, if we just try to estimate the number of animals that are killed just to feed ourselves, we can only conclude that one person switching to a vegetarian diet can reduce a significant number of animals killed each month. A person planning to switch to a vegetarian diet should spend more time with friends who are already vegetarians. They will provide him with motivation to stay on the diet and make being vegetarian appear natural and easy. Conversely, if he spends a lot of time with friends who love meat, he will be ridiculed for switching to a vegetarian diet and be forced to defend his position. In addition, being vegetarian will make him feel like an alien amongst his non-vegetarian friends. sir, interestingly i think you have skillfully steer clear from the much debatable topic on ‘vegetarian and spiritual practice’ and provide much plus side info to those vegetarian spiritual seekers.i have seen goats killed at the slaughter bay,the victims bleat mournfully and even urinate. one can imagine of the tormenting fear the poor fellow endure before dying,with conscience how to partake its meat and not feel sad and guilty about it…. Being a vegan I am blissful.But recently I went to physician for consultation ,he said being vegan you will be lacking Vit B-12.how I can overcome this problem.